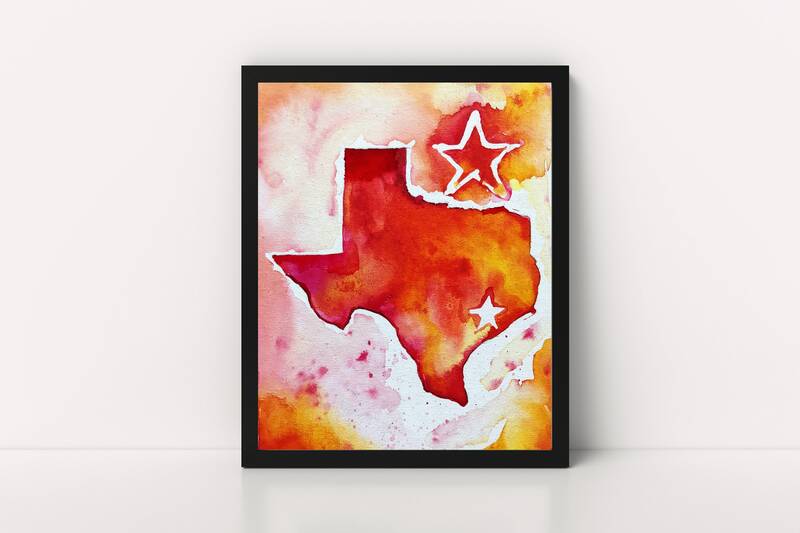 Show Texas me love with this simple watercolor state design. 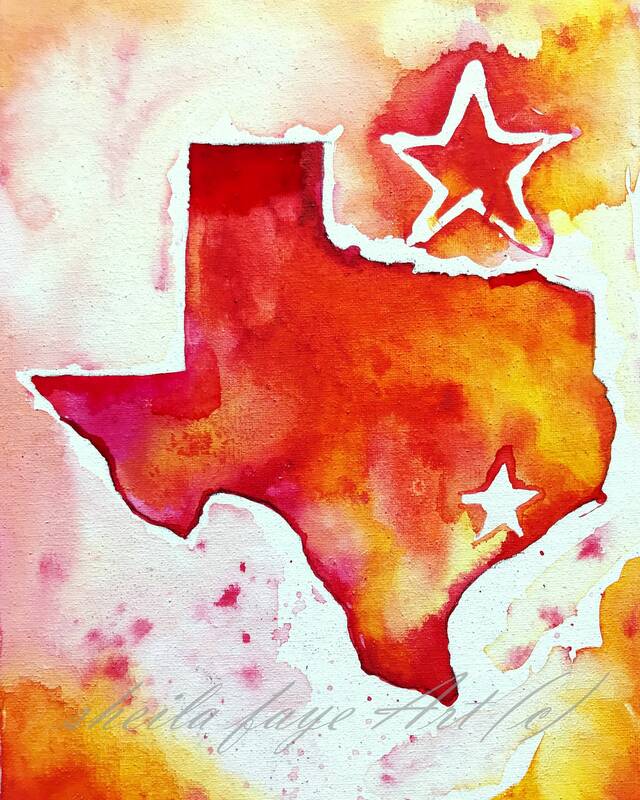 This is a 8x10 giclee print on fine art watercolor paper. This print does not come framed. You will receive a 9x12 print in the mail within 7 business days.